The Sixth Form Library is situated next to the Sixth Form Centre. 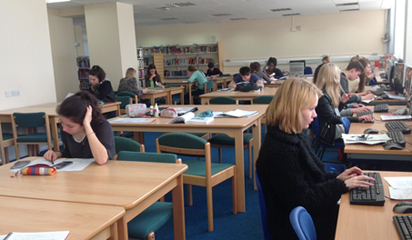 It is open to all sixth formers and provides you with a silent study area to do your homework and research. Occasionally the Sixth Form Library may need to close early. Notices will be posted on the door.